If you are small business and you’re struggling with trying to create good local SEO content for your website, then you’re gonna want to listen to this Soundcloud recording, or read this blog post for ways on how to do that. Sorry I got confused there, but we’re trying something new here at Meaningful Marketing and I decided, “You know what, I want to utilize my Soundcloud account here and get a voice memo that talks about how to create good local content”. Actually, it all really comes down to the fact that I kind of hate having to write and it’s just easier to talk! 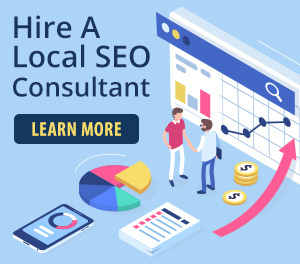 The concept and strategies I’m going to talk about in this blog post, teamed up with this local SEO content strategy I’ve already talked about will no doubt increase your web traffic. Read on and I’ll go into greater detail on how to create great local SEO content. So, here we are! You’re struggling with trying to create good local content. And if you haven’t visited our website, you’ll soon see that we are strong believers in creating good local content that’s geared towards solving the problems of your target market. We’ll use our website here at Meaningful Marketing as a prime example. 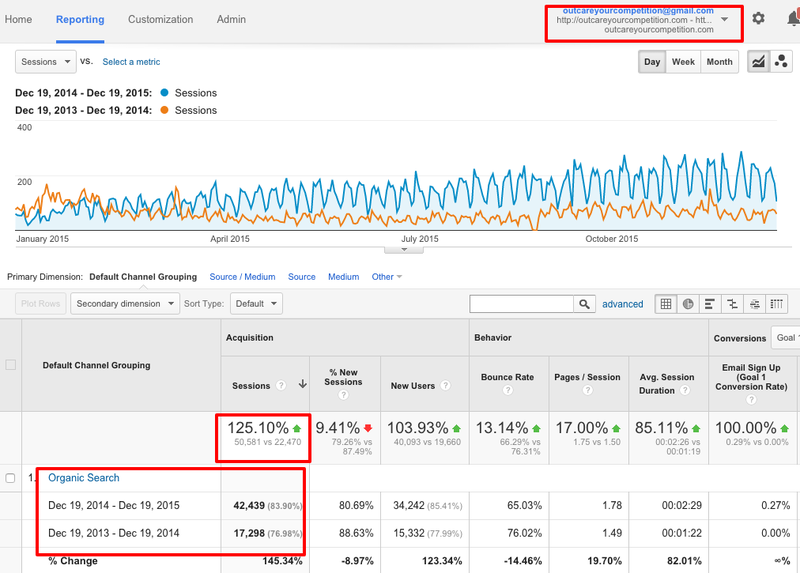 Over the last year we’ve seen about a 130% increase in organic traffic. It got to me thinking well, “Why is that?” And it reminded me just how powerful good, relevant and resourceful content can be. You know, not just creating content that talks about nothing, and it’s going to be good. I say resourceful, I should say educational. You got to help your users, whether it’s your potential clients, your clients, no matter who it is, you got to help your users. And that’s one of the main philosophies here in Meaningful Marketing. The idea is to create meaning in your marketing. Now, originally, our idea was to have a bunch of cool offline strategies which revolve around that — creating meaning in your marketing. But we’ve adopted it to the online world and creating good content and it ties in to SEO because at the end of the day, improving your search engine rankings, there’s over 200 factors. But like I said, at the end of the day, we really believe that it comes down to creating good relevant educational content on your website. We see Google, Bing and Yahoo, wanting to rank websites that are resourceful, that are educational, and that are authoritative. So, you need to sit back and think about your product or service, you need to sit back and think about writing good, relevant, useful, educational content and become in an authority in regards to your product or service. And when I say increase the website’s search engine ranking, I mean increase the homepage for its rankings and increase any other page that you have across the board on your website, increase its search engine rankings. So, like I said, for us we’ve seen a huge increase and that’s despite the fact that we’ve only published about 25 blog post on this website this year. But because these blog posts have been good and because the blog post we’ve written in the last year have been good, what’s happening is Google is crawling in our website and going at, “There’s all these great content, were gonna increase the rankings for all these blog posts that are targeting specific problems that deal with local SEO, or that deal with Google My Business across the board. And of course, it’s helping our homepage, and all these other pages that we have the target: SEO Vancouver BC, or SEO Calgary, or Google My Business packages, whatever it is. We have all these pages that are actually targeting search terms and because we’re creating all these other great content on the site in terms of blog posts, we’re seeing a huge increase in traffic. That’s the way that you need to think about your business. So, I’m gonna stop talking about Meaningful Marketing and gonna start talking about you. Now, I’m gonna throw out a local SEO content strategy gear towards a massage therapist. I chose massage therapy because it’s a pretty simple thing. Just sit back and no matter what your product or service is, think of yourself as a massage therapist like I’m gonna talk about, and think about how you gonna help create better local content. So the easiest thing that I can say for a massage therapist trying to create good local content and to help their homepage improve its rankings for “massage therapy, X and X city”, is to sit down and think about writing good content that’s geared towards people who have pain in their body. So for me, I just recently saw a massage therapist two weeks ago because I was really struggling with neck pain in my upper neck. I work a desk job, obviously. I do a lot of work on a computer probably don’t have the best posture. I also play some golf and I play some squash, so my body goes to the rigger. I get pain, and I don’t stretch enough and I don’t do these things to maintain my body. So, for me I’m your target market as a massage therapist, I have neck pain. Now, let’s just say that I’m sitting down one day, and I’m going, “Man, my neck is really sore,” and I type in “how to relieve neck pain”. What I’m gonna see is I’m gonna see a bunch of articles from websites like WebMD, maybe there’s massagetherapy.com that isn’t a local business, just an authoritative website on massage therapy. I might even see an article from maybe like a lifehacker.com or something like that; or a business website like Forbes might even have an article that deals with this and I’m sure they do. So what I’m gonna see if I type in “how to relieve neck pain”, I’m gonna see those types of websites and those webpages or I’m gonna see those types of webpages from those types of websites; so very authoritative websites. So if I’m in Victoria BC and you’re a massage therapist in Victoria BC and I type that, and you write an article geared towards how to relieve neck pain in Victoria BC, I’m not gonna see it unless I physically type in how to relieve neck pain in Victoria BC. So even though a lot of people out there searching how to relieve neck pain and not searching how to relieve neck pain in X and X city, you still need to write that article because as that articles on your website and as you write a series of articles that deal with how to relieve neck pain, your search engine ranking are gonna increase now across the board. And even more so, if within those articles and blog post you have interlinks going to your other blog post and then interlinks going to your main page which is your homepage as a local business. If you’re writing something to deal with “how to relieve neck pain in Victoria BC”, the beginning article is something to do with “Hey, if you have neck pain in Victoria BC and you’re looking for ways on how to relieve that, Click here or you’ll wanna read this blog post for four ways on how to do that.” And then your first sentence could be something like, “Massage therapy is a great way to relieve neck pain.” And if you have massage therapy linked into your homepage which is targeting massage therapy Victoria BC, that’s gonna help the homepage’s rankings. So as you create more and more of these articles, and you have these interlinks going to your homepage, and as you have interlinks (read our “the importance of interlinks” post) going to your other blog post, its gonna help the overall scheme of your content. And it’s gonna help Google, Bing and Yahoo look at your website as a resourceful website because you’re creating good relevant and educational content. So that’s just one example of writing an article geared towards neck pain. You could write another article that talks about “how to relieve hamstring pain” or “how to relieve quad pain for runner”’, or maybe the article talks about “massage therapy for runners in Victoria BC”, and Victoria BC has a lot of runners and there might actually be people who are very specific in typing massage therapy for runners in Victoria BC. And if you target those types of search terms and you write a good piece of content that talks about running, and it talks about running in Victoria BC and make it really localized what your gonna have is your gonna have a good piece of content that’s gonna have potentially some people landing on it that what normally find about your business if you’re just thinking about I just want to rank for “massage therapy in Victoria BC”. So as you create more of these articles you’re gonna get more and more people visiting on your website and your organic traffic is gonna increase. And it’s one theory and strategy that I call the bicycle wheel. And it’s to think of your website as a bicycle wheel, whereas the middle of the wheel is your homepage. That is your main spoke, that’s where you’re gonna get most of your traffic. But as you create all these articles of it, the spokes will column and the blog post are gonna be these spokes. Then you’re going to see more and more traffic come to your website. And sorry to get you kind of confused, when I say content, I strictly mean a blog post or a series of blog post or articles. Blog post, articles, content – it’s all the same thing. So I went on the analytics while I was having a conversation with him and I was looking at his stats. We had published an article for him that deals with getting your driver’s license in Victoria BC. And over the course of the last month, he had 8 people search something to do with driver’s license Victoria BC and land on that article. Now, while I was looking at it, I mentioned that to him and he said there was a few people who were looking for ways to renew their driver’s license in Victoria BC, and they were calling him. So they were probably landing on that article, calling him and asking him, ‘does he renew driver’s licenses.’ Well no, he doesn’t. The article is strictly geared towards somebody who is younger or who has never had a driver’s license and needs to know the steps on how to get their driver’s license. So that was just one way that he got 10 visitors in the last month to his website that he would normally otherwise. And that’s just one piece of content and that’s the way that you need to think of your website. So that article, and that blog post, and that content – was just one little spoke in the wheel. But that little spoke as you create more of those, it’s gonna help your overall websites ranking across the board. Again, whether it’s the homepage, the main point of your spoke, or whether it’s all these other spokes, it’s gonna help increase the rankings as you create more of this content. And that going back to it, is how we have gotten an increase in our traffic is by creating all this content that talks about problems, that deal with SEO and Google My Business. And I’m sure if you’re on this article, reading it, you know how many problems and how many issues and you’re trying to learn about local SEO and Google My Business. Well, it takes a long time, there’s a lot of things to learn about. And I’m sure your product or service isn’t much different. From the standpoint of massage therapy, I don’t know much about massage therapy, I don’t know a lot about my body, I don’t have the time to sit down and research. I’m sure if I stretch a little bit more, I’d be in a better frame of mine health wise and my body would feel a lot better. But if you’re a massage therapist, you need to think about me and writing articles geared towards me and why I have so much neck pain, back pain, why I have pain in my legs. And you need to write articles for me. And the other way that you can use these articles is to have them linked from your homepage. So, your homepage is geared towards massage therapy Victoria BC. Now, if on your homepage, you have your content which is optimized and the longer and the more content you have on your homepage the better off you are. And then, within that content, if you have interlinks pointing to these articles that you written, you’re gonna see a huge increase in how much time people spent on your website. If someone is searching the broad term of massage therapy, Victoria BC, they could be anybody. They could be somebody who works at desk hub, they could be a cyclist, they could be a runner, and what you want to do is you want to try to add links on that homepage that go to those articles. So, on that homepage, an example of a sentence could be like, “massage therapy is great for anybody who runs a lot, who cycles a lot, or who works at desk job.” And if you have ‘runs a lot’, that links to your massage therapy for runners in Victoria BC page, and then if you have ‘cycles a lot’ so then if you have that text linked to your article about massage therapy for cyclers in Victoria BC. And then if you have who ‘works at desk job’, if that text is in link to an article you wrote about somebody who has a desk job and needs massage therapy. What you’re gonna do is like I said, you’re gonna increase the time that people spent on your website, and I’ve always said this is that the longer is somebody is on your website, the less time they’re on somebody’s else is. And if you think about local search, a lot people are doing research so when they type in massage therapy Victoria BC, chances are they’re just gonna go on five or ten websites, take a look at the content and get an idea, they’re gonna look at your branding, they’re gonna look at your imagery, they’re gonna look at everything and they’re gonna make their decision based on that. But if you keep people on your website longer, and if you have good content geared towards them, you’re gonna be on top of mind, because you’ve improved their lives by helping them solve a potential problem that they have. And again, that’s the whole marketing with meaning. You simply want to create meaning with your marketing. You want to improve people’s lives with your marketing and that’s part of the model that we have, that’s our business name. It was originally gonna be a business that deals with offline marketing strategies, we’ve just adopted the concept to online marketing strategies. Our domain name, outcareyourcompetition, it is simply means that, out care your competition. Write these articles that improve the lives of your clients and potential clients, because you know what, your competition is not. And that’s the whole idea, out care your competition; care more for your clients and your potential clients. That’s the whole idea behind this and that’s the way local SEO and SEO in general is going. Create good content, for the searcher, but also for the search engines; because the searchers are gonna eat it up along with the search engines. The search engines wanna see that you are a website and a business that’s an authoritative figure in your industry and you can do that simply by creating this content. So, hopefully I’ve summed up a really good simple way for you to create better local SEO content. And like I said earlier, this is something that I wanted to do. I wanted to create a Soundcloud, sound byte here that it’s audio. It doesn’t take much time to listen to. Hopefully, it’s a little bit different, its engaging, I know I hate reading, I’m sure you do, too. I hate writing, that’s why wanna do this quick and easy. And I also wanted to try to build a little bit of a relationship with you. I wanted to you guys to hear my voice and not just see a bunch of words on a page. So hopefully you enjoyed this, and if you have time, please share this article or it’s gonna be I guess a Soundcloud byte. Please share it with anybody that you know who needs help with their local SEO or their Google My Business ranking problems. I’m trying to get that these stuff out there as best as I can. If you haven’t it already, be sure to download the local SEO training kit. It’s up on the top right of this blog post, you see in the top right hand corner a blue box. What you do is you just sign up, put your name and email in there, you’ll get an email link from A-Webber who is our software provider. And it’ll just say – Confirm that you want to sign up for the local SEO tips from meaningful marketing. Once you clicked confirm, you’re gonna get that local SEO training kit and you’re gonna be on your way to creating good search engine rankings for your business and also good content. So hopefully enjoy this post, it’s been a bit long and well see you again soon.